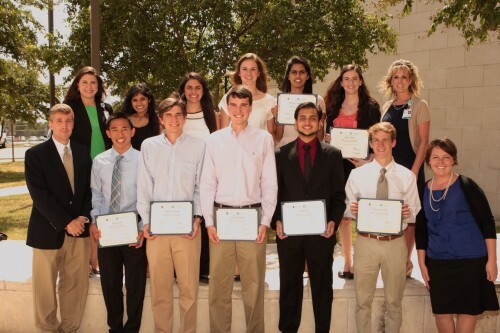 The purpose of the SWURP initiative is to give current Baylor University undergraduate PreHealth students a distinctive edge as they apply for graduate programs, professional school and residency programs, and ultimately produce professionals who are well trained in biomedical and clinical research. It will also create a cadre of competent biomedical research support and advance Baylor Scott & White research endeavors. This program incorporates the efforts of the Office of Academic Research Development at Baylor Scott & White Health and the Office of PreHealth Studies at Baylor University to benefit students, clinicians, and scientists/educators at Baylor University. These offices will facilitate training and applied opportunities for conducting bench/clinical/translational research for undergraduate PreHealth students. Qualified students will be provided the option of continuing an academic year program at the conclusion of the summer. Students must participate in all coursework and programs which will prepare them to be capable of supporting bench, clinical, and translational research considered necessary by the participating medical/research departments at Baylor Scott & White Health. The Foundations of Medical Research Course will incorporate these expectations in the classroom with the support of the faculty from Baylor Scott & White Health. Students participating in the internship will be able to observe the Research Coordinators' research tasks with research subjects, and may have the opportunity for publication. Participating undergraduate students will be required to develop a presentation which would reflect on their research experience and present the data they attained from their experience and discuss its implications. These presentations will be given at the end of the summer program. The following concentrations have been offered in previous cohorts: Cardiology, Health Outcomes, Neurology, Obstetrics & Gynecology, Quality Improvement, Clinical Simulation, Surgery, Veteran & Traumatic Brain Injury, Genetics, Emergency Medicine, Anesthesiology, Pediatrics, Orthopedics, and Gastroenterology. Acceptance to this program will be based on academic achievements, student involvement, and best fit in order to create a focused affiliation. Eligible students must have a completed application by the deadline in order to be reviewed for this opportunity. Learn more about the required application materials for SWURP at www.baylor.edu/prehealth/SWURPappmaterials. Upon acceptance into the program, students will participate in a 10-week summer research program which includes the below research curriculum. ** At the conclusion of the summer program, qualified students may be provided the option of continuing an academic year program. Qualifications for the academic year program will be based on summer performance evaluations and recommendations by research mentors. There are no student stipends for this program at this time.